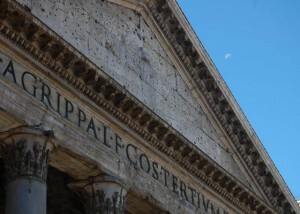 The Pantheon, literally means all gods, was originally dedicated to every gods in ancient Roman time. Though the idea of having one church to worship all gods seems questionable, some people suspected that the building was surrounded by many gods’ statues and thus the name. Other people suggested that the building itself, the dome looks like the path to heaven. It does not sound like a proper name of the building but there was no other records of the naming of this basilica. 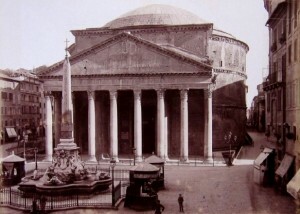 How much do you know about the Pantheon in Rome? Click to find out. 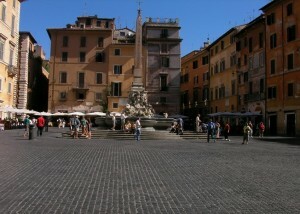 It’s the Piazza della Rotonda. But what is the Egyptian obelisk doing there? 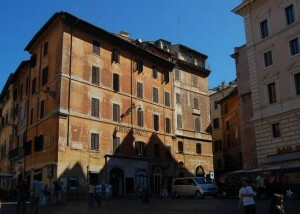 There are hotels around or even right outside the Pantheon. Check them out. 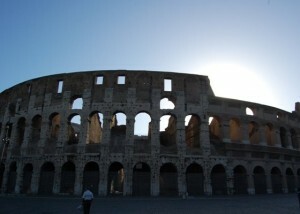 Learn more about this great structure erected since Roman times. 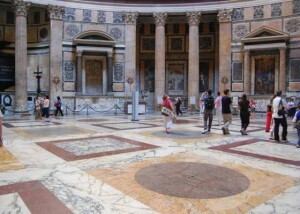 See here any fees about visiting the Pantheon. 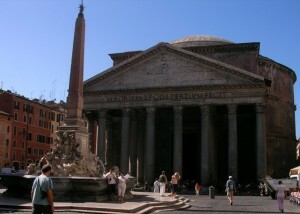 How to go to Pantheon from popular places in Rome. 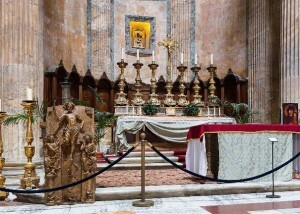 Check out the events taken place in the basilica. Other great places in Rome not to be missed.